I have always been kind of a homebody. 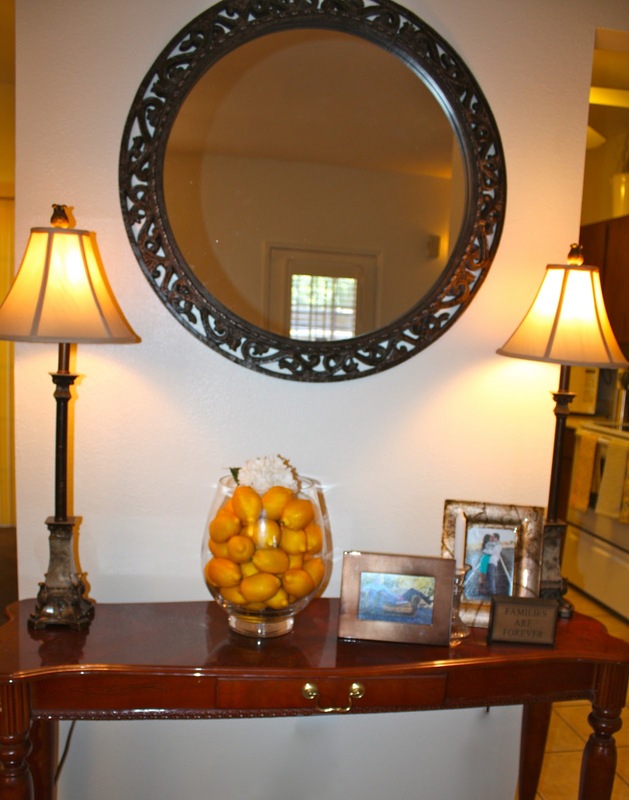 I like to travel and see the world, but there is something special about walking through my front door. I will never forget my beautiful home in St. Louis, Missouri. My mom is an amazing decorator and always had our house dolled up to perfection! It also didn't hurt that we lived right on the lake:) People loved coming over and my mom was so good at being the perfect hostess. It was my dream home and always will be! Another place I can call home is Hunter's house from childhood. Hunter's mom (Leigh Ann) is an amazing entertainer and has set the bar high for us. She has us over every Sunday and cooks these amazing, elaborate meals. She always makes sure everyone is happy and content. Plus, there are always leftovers so we have take-out...it's better than a five-start restaurant:) I love every place I can call my home! It's fun to work together with Hunter to make our first place a real HOME. 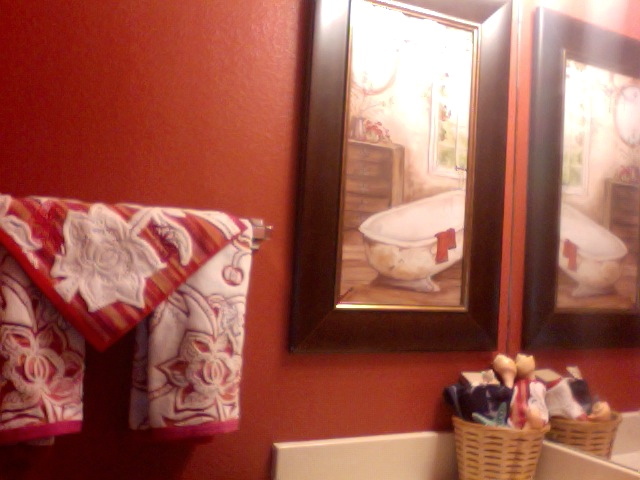 I love our red bathroom. Towels from Anthropologie...one of the wedding presents from my mom! I am obsessed with pillows and our soft leopard print throw! I think I love buying pillows more than i love buying shoes. What has happened to me? I love our $50 sectional. Vintage touches. 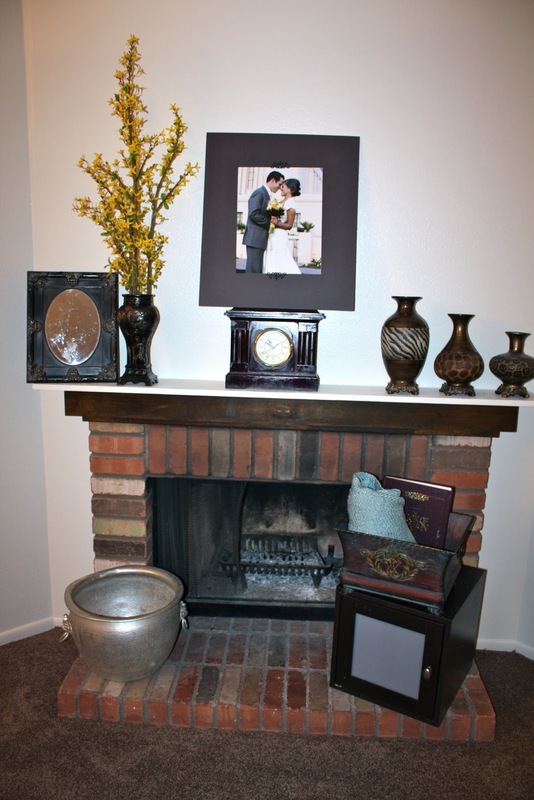 Love our brick fireplace. Too bad we will never need to use it in the Arizona heat! 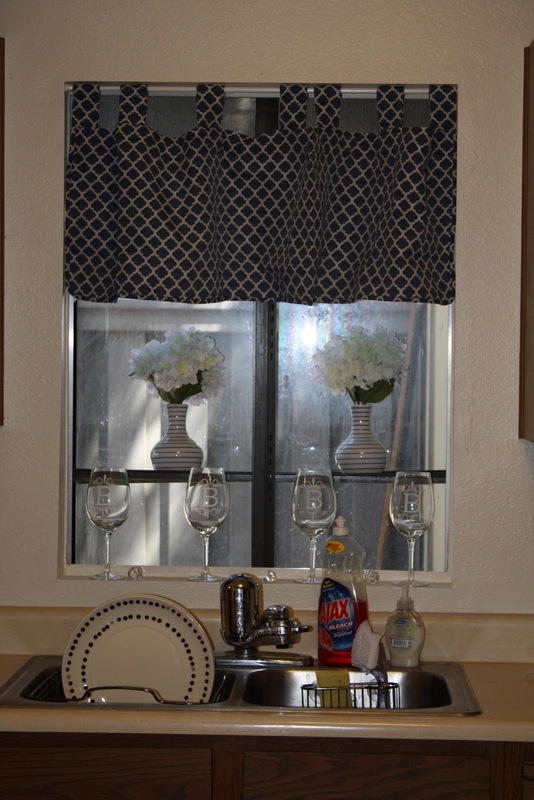 Love this cute little valance and our fun plates in the sink! I have realized that it doesn't matter where you live....IT'S WHO YOU LIVE WITH THAT TRULY MAKES IT HOME. Well look at you and your adorable new blog!! I'm so excited that I can stalk your life now! :) Love you girl! Oh hello there! I do remember that class..we sat in the back corner and I would eat my lunch and sometimes fall asleep..hmm. Congrats on the marriage! It looks awesome! 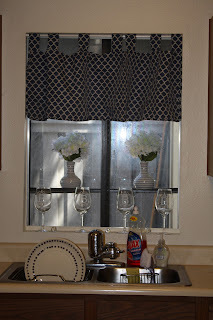 Making a place your home is so much fun. I think the first one is especially fun so enjoy it! You are the cutest, and I want to come visit your home :) Love you!